The deadline for filing your 2017/18 self-assessment tax return online is 31st January 2019. The deadline for paper tax returns was 31st October 2018. In some very rare situations, HM Revenue & Customs (HMRC) may give you a different filing date for your tax return. But otherwise, it is not normally possible to get an extension to the filing deadline. Regardless of how you filed your tax return, any outstanding tax must be paid by 31st January 2019. If HMRC asked you to complete a tax return for 2017/18 and you missed the deadline, you will automatically be fined regardless whether you're only one minute late or how small your tax liability is. 1 day late - Automatic fixed penalty of £100. This applies even if you have no tax to pay or you have paid the tax you owe on time. 3 months late - £10 per day up to a 90 maximum of £900. 6 months late - £300 or 5% of the tax due, whichever is higher. 12 months late - £300 or 5% of the tax due, whichever is higher. In serious cases, you may even be asked to pay up to 100% of the tax due instead. These penalties are in addition to one another, so the minimum late filing penalty for a tax return that is 12-months late will be upwards of £1,600 depending on the tax liability. There are plans to overhaul the penalty system and make it similar to how driving licences work, i.e. a points-based system. My tax return is overdue, what should I do? If you think you are not required to submit a tax return, you should telephone HMRC and request the tax return to be withdrawn. If HMRC agrees, you no do not need to file a return and any penalties issued for missing the deadline should be cancelled. Remember to note down who you spoke to and when, what outcome is expected and when you will receive their decision. HMRC is unlikely to withdraw a return if you have been self-employed at any point during the tax year – even a very short time will count. Typically, you will only have two years from the end of the tax year for which the return is due to request its withdrawal, but it's always better to deal with your tax affairs swiftly. If you have a good reason for the delay, you may be able to appeal against the penalty. HMRC list several common examples of Reasonable Excuses on its website. HMRC also revealed some of the most outlandish excuses it received here. If the tax return can't be withdrawn and you don't have a good excuse, the next best thing is to file your tax return as soon as is practical- even if you can't afford your tax bill yet. As you've seen, the late filing penalties will increase the longer the delay. How long do I have to change my tax return? If you make a mistake on your tax return, you can amend it but you must make your changes by 31st January 2020 for a 2017/18 self asssessment tax return. 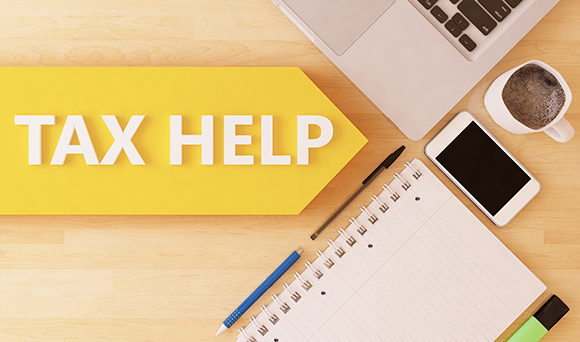 One of the best ways to make sure you tax return is completed correctly and on time is to contact your local TaxAssist Accountant, who would be happy to help. We can also request a tax return is withdrawn and help you with a Reasonable Excuse claim to give you the best chance of appealing successfully. If you’d like to know more about tax returns, or any other tax-related matter, please call us on 0800 0523 555 or us our online contact form.